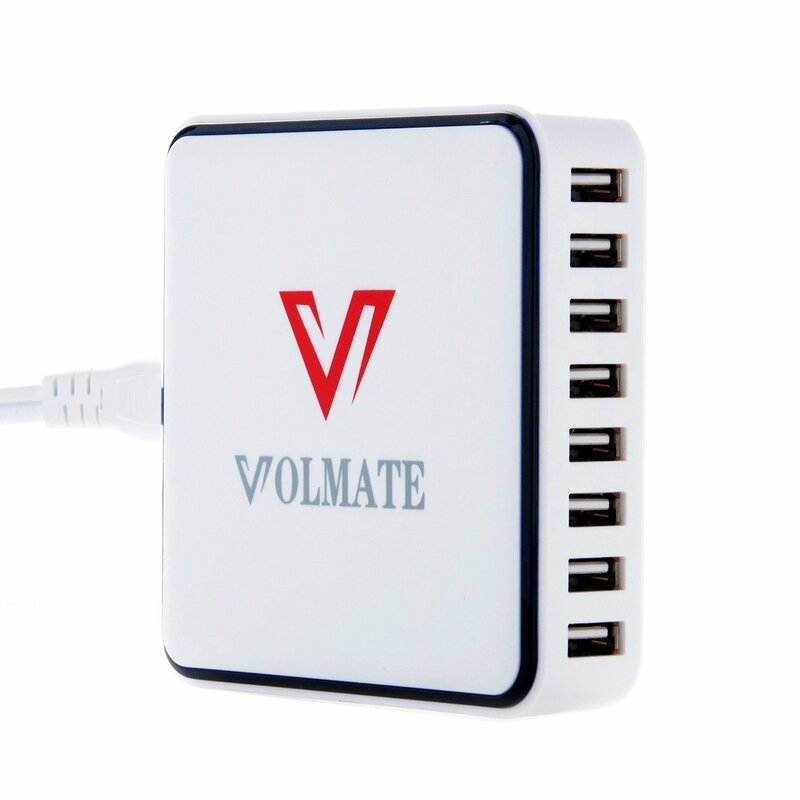 I just got this great 8 port USB hub from Volmate. This is a really great USB hub, made from great high quality materials that are well made and will last a long time. It’s really simple to use, just plug in the USB port with the cable included this will allow you to power 8 different USB devices. You can plug in any device with a USB cord. We love to plug in things like our phones, tablets, gaming devices, MP3 players, and more. With 8 different ports you have space to plug in everything all at once. This is a huge plus for us, with a family of five it seems like we fight over charging cords and space to plug them in all the time. This way every can charge at the same time. I plug this in and put it on the desk so it’s in a central location and everyone can plug in easily. Very convenient especially for a large family! Industry first 8 port 60 Watt 12 Amp Rapid USB Wall charger. The VOL60W-8P has revolutionized charging – Our Intelegent USB ports will comunicate and recognize the device it is plugged into and will povide the fastest possible charging speed. Detects your device to deliver its fastest possible charge speed up to 2.4 amps per port or 12 amps overall. Guaranteed Safety: Industry grade materials and premium circuitry ensure complete reliability. 100-240 volt input ideal for international travel. Each USB port has a soft blue LED lets you know it’s plugged in. What You Get: Volmate 60W 8-Port Desktop Charger, 5ft / 150cm detachable power cord, welcome guide, our fan-favorite 24-month warranty and friendly customer service. You can purchase this hub on Amazon!